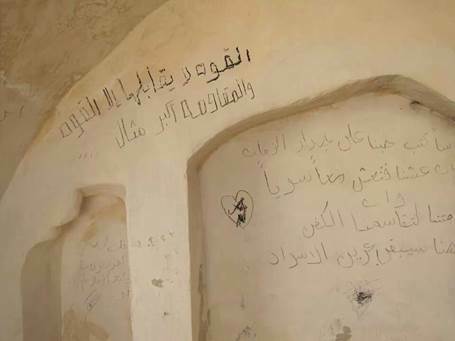 Arab graffiti was found scrawled all over the ancient grave of Elazar Hacohen, the son of Moses’s brother Aaron from the Torah, in the Samarian village of Awarta near Itamar. Jews in the region reportedly invested over 110,000 shekels ($31,192) to restore the ancient site recently, and just last Saturday night the walls were repainted by local Jews. Muslims vandalized the tomb back in 2011 after the last attack on the holy site.